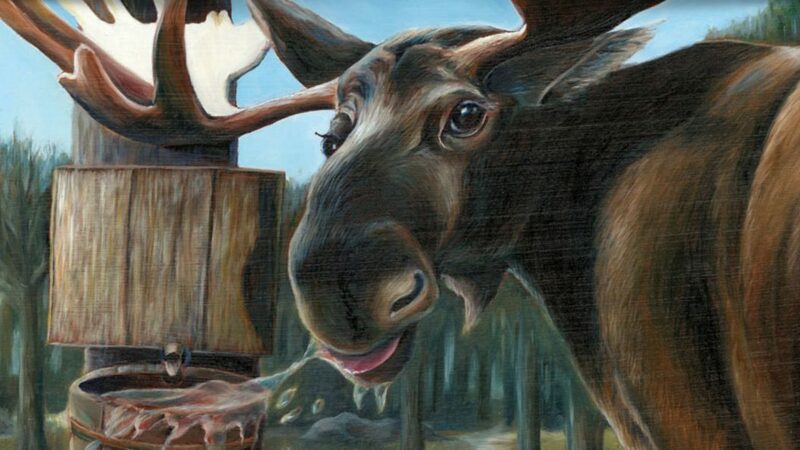 A favourite treat for tourists, Muskoka's bountiful maple syrup harvest can be enjoyed at Sugarbush Maple Syrup Farm in Huntsville. 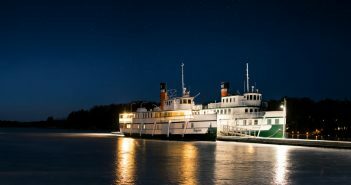 When you visit a place as special as Muskoka, one of Canada‘s most popular vacation destinations, you want to bring home a unique memento. No matter if you are here for the whole summer or just a visit, here are the 10 top souvenirs and gifts that will preserve your memories and endear you to your friends and family well after your return home from your visit to the heart of Ontario’s cottage country. 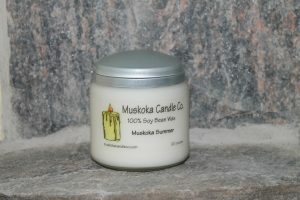 Founded by retired NHL star Billy Harris (New York Islanders and Toronto Maple Leafs), Muskoka Candles’ products are manufactured in the Village of Rosseau and sold throughout the area. Made from 100% soya wax, they come in their own jar and are available in a variety of sizes. Best of all is the variety of fragrances, including ‘pink sugar’, reminiscent of cotton candy, to ‘toasted marshmallow’ that conjures up recollections of camping around an open fire. A favorite of celebrities like Goldie Hawn and Martin Short, these are essentially Muskoka memories in a jar. Made in Port Carling and based on the original Adirondack design, the Muskoka Chair Company’s cedar and recycled plastic Muskoka chairs are a must have for any deck, dock or patio (they also make for great gifts). You can purchase these chairs fully assembled or as a DIY kit, and for those visiting the area, you don’t have to take them with you as the company will ship them so they arrive home when you do. Available in natural and a variety of colours, the Muskoka chair is an iconic reminder of lazy days spent relaxing at the water’s edge. Nothing says being up north quite like a sweatshirt from Muskoka Bear Wear. 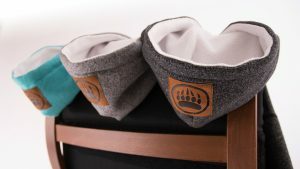 Designed to keep you warm on a cool night around the campfire, the company’s line of 100% Canadian made sweatshirts, t-shirts, toques, flannel bottoms and socks are all made right here in Ontario. 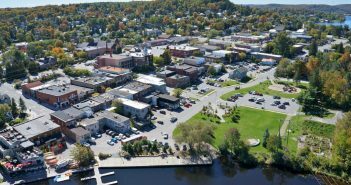 With stores in five locations across Muskoka – Gravenhurst, Bracebridge, Huntsville, Bala and Port Carling – you can pick up your items when touring around or have them shipped directly to your doorstep. You can shop for Yummies In A Jar products right in their lovely store located in Baysville on Lake of Bays or at a number of fine retailers throughout Muskoka. With what seems to be an endless choice of jams, jellies, vinegars, and flavoured maple syrups, this thriving business makes perfect gifts to bring home for that someone special (or for yourself). 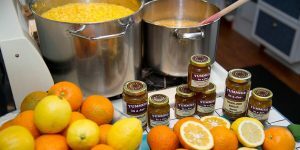 Yummies’ unique combination of original tastes will have you savoring its jams and marmalades at breakfast, while come cocktail hour it’s al about their vinaigrettes and bread dippers. One taste and you’ll be proclaiming their name out loud. The true taste of Muskoka captured in a bottle! Foraged from the region’s forests and married with homegrown herbs, Wild Muskoka Botanicals produces artisan wild foods consisting of a variety of naturally flavoured bitters, toppings, vinegarettes and spices. An essential for any kitchen seeking organic and original seasonings and tastes, these tasty products are available online and at the Sustain Eco Store and The Great Vine in Hunstville, as well as The Pasta Shoppe by Beat the Wheat and Muskoka Natural Foods Market in Bracebridge, Wild Muskoka Botanicals makes for a true one-of-kind souvenir or gift. One of the few souvenirs you can see in all stages of its production, Johnston Cranberries in Bala comes with a total immersive and fun experience that include tours of the marshes that reveal how cranberries are grown and harvested. Afterwards, step into their shop to peruse the wide variety of incredible gift items available for purchase. From cranberry wines to juices, preserves, teas and plain cranberries ready for the Thanksgiving or Christmas dinner table, enjoy one of the healthiest ways to remember your visit to Muskoka. Nothing says ‘special treat’ better than fudge. 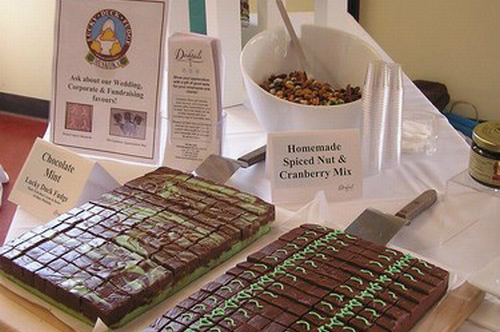 Available at fine retailers throughout Muskoka, Bala’s Lucky Duck Fudge has been making delicious fudge for over 20 years. Now offered in over 30 different and delicious flavours, some of the most popular include classic Canadian maple to rich chocolate topped with M&Ms. Lucky Duck Fudge is the one souvenir you should always buy more of if giving as a gift – it’s just too good not to sample over and over and over. West Lake Cosmetics’ custom–made soaps are indescribably unique. In addition to an entire line of distinctive soaps, West Lake also produces body oils, salts, lotions and butters guaranteed to constantly remind you of your visit to cottage country every time you shower or bathe. Available at their shop in Parry Sound, you can also experience these exquisite aromas for yourself at the Craft Room in the Village of Rosseau and Seasons in the Country, Bracebridge. All natural and always a pleasure to give (and receive). Never be left stranded up a creek again! 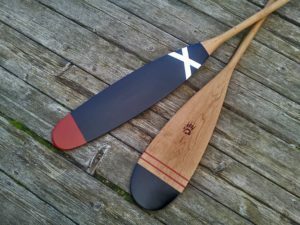 Famous the world over, Badger Paddles are one-of-a-kind and manufactured in Muskoka, each carefully crafted and a work of art. Besides its obvious practical use, Badger Paddles’s line of products also look great stored and displayed on the walls of your cottage. Available locally at Algonquin Outfitters and Swift Canoe in a variety of woods, from maple through to cherry, Badger paddles not only make for great souvenirs but also fine heirlooms to be passed from generation to generation. The ultimate taste of Canada, Sugarbush Hill Maple Syrup Farm’s products are so good they’re hard to give up. Always a fun thing to do, be sure to visit and take a tour of their farm in Huntsville. Afterwards, you’ll be able to give your gift while sharing the story of how it’s made. Available at a number of locations throughout Muskoka, you don’t have to worry about size and colour – this is the souvenir that everyone’s going to enjoy. Vince Grittani – aka The Weekend Guy – is a Muskoka-based producer, author, screenwriter, composer and award-winning playwright. Former host of Cottage Life Television, Vince is currently developing new TV and film projects while heading up local cultural events including The Muskoka Independent Film Festival.